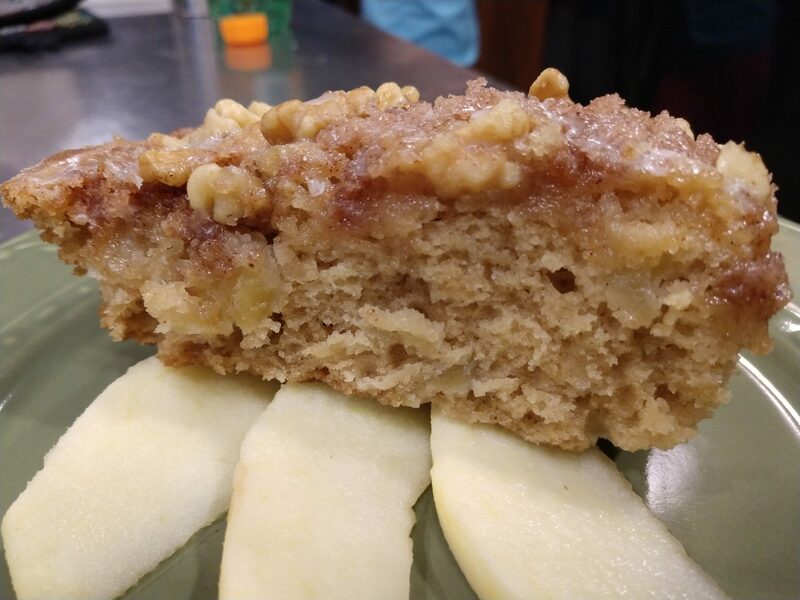 Apple Cinnamon Strudel Cake | Smoking Meat Forums - The Best Barbecue Discussion Forum On Earth! Discussion in 'Desserts' started by chilerelleno, Sep 10, 2018. In a small mixing bowl combine the following, use a pastry blender, fork or your hands. It should have the consistency of wet sand when mixed. 2/3C sugar, white or brown both work fine. 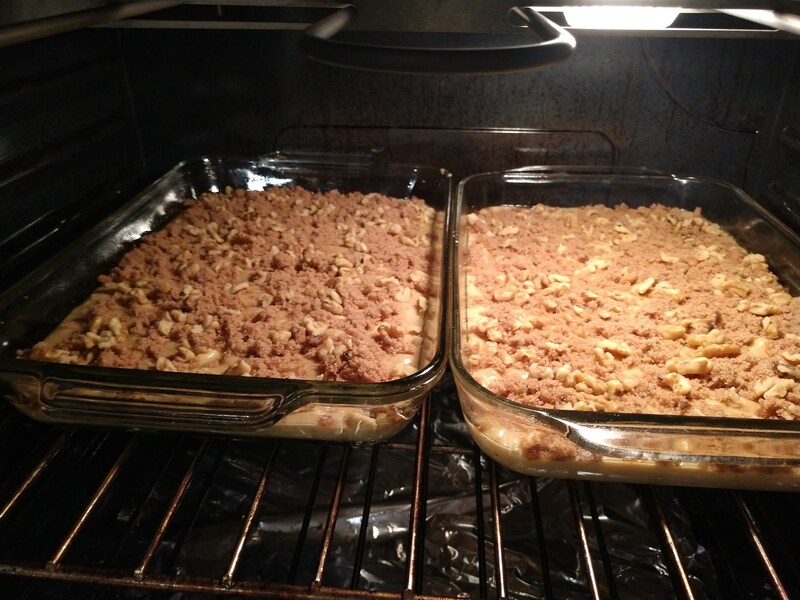 Spread this over the batter, you may add some chopped nuts if you like, I added walnuts. Please note: This recipe makes one cake, not two. GaryHibbert, Jeff Wright, Bearcarver and 2 others like this. Nice John really nice. I don't eat dessert but the wife does and she would probably really like this one. Thanks Chris, make this and keep Mama happy. How long do you bake it for? I’m super excited to try it. Thank you sooooo much. We are making it tonight. That looks Mighty Tasty, John!! Yet another awesome looking recipe! Besides the current pumpkin faze I am going though, anything apple makes the top of the list. This one will be my next apple creation. Looks delicious John. If I had some buttermilk, I'd be making some tonight. Really appreciate the feedback, thanks guys. Made this again but this time with 2C apple. That's exactly what I had planned to try. I'm also thinking about making two. One with white sugar and one with brown sugar. Not sure about the brown sugar, though. What do you think?? Brown should work just fine, maybe just a color difference. Chemically the same for baking. Gary put a tablespoon of vinegar in a cup of milk and you will have a substitute for buttermilk. Chile Nice looking cake we make a Jewish apple cake which is very similar. Thanks Warren. I thought that might work, but wasn't sure how much vinegar to use. Today my younger son turned 13, and he wanted Apple Pies for his birthday. One crusted and two crumbles. Nice looking pies. Its all about taking care of the kids in my case now its mostly grandchildren.